Catalans have been inscribing, etching and painting their sentiments onto walls in Barcelona for a very long time. A recent street art walk with a local historian introduced our group to some of the city’s best contemporary street artists, along with some of Barcelona’s fascinating street-art back story. Over two very full hours in the Gothic Quarter and El Raval, guide Cayetana of Trip4Real provided a lively commentary on various art forms we encountered on walls and doorways, and down side streets in the heart of the Ciutat Vella. She doled out history in manageable bites, which left me eager to learn more. Let’s start with the back story. Just around the corner from the neo-Gothic façade of the Barcelona Cathedral, a barely visible slogan pays homage to supporters of former dictator Franco. The wall, with its remaining traces of lettering stenciled onto the cathedral side facing Calle Santa Lucia, was our first stop on the tour. The words “Jose Antonio Primo de Rivera – Presente!” were emblazoned on virtually all churches during the Franco era. They commemorated the youthful founder of the Falangist Party, executed by Republican forces in 1936, at the beginning of the Spanish Civil War. Primo de Rivera was promptly mythologized as a fallen hero, when Franco took over Falangism as a tool of the military dictatorship. The slogan was mostly obliterated in 1997 during a cleaning of the cathedral walls for a royal wedding. 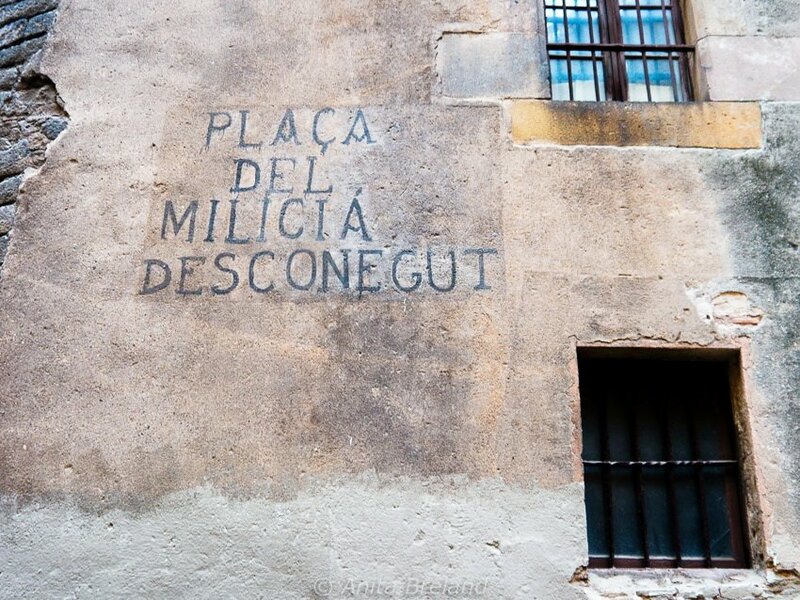 Not far away, at the intersection of Plaça del Pi and Plaça Sant Josep Oriol, there was a tribute of another sort during the Civil War, brushed onto a wall of the Església de Santa Maria del Pi, a 14th-century Gothic church. For a time, Plaça del Pi was renamed “Square of the Unknown Militia”, honoring citizens loyal to the Republicans. It was painted over during the years of the Franco dictatorship, and restored by the Barcelona City Council just a few years ago. 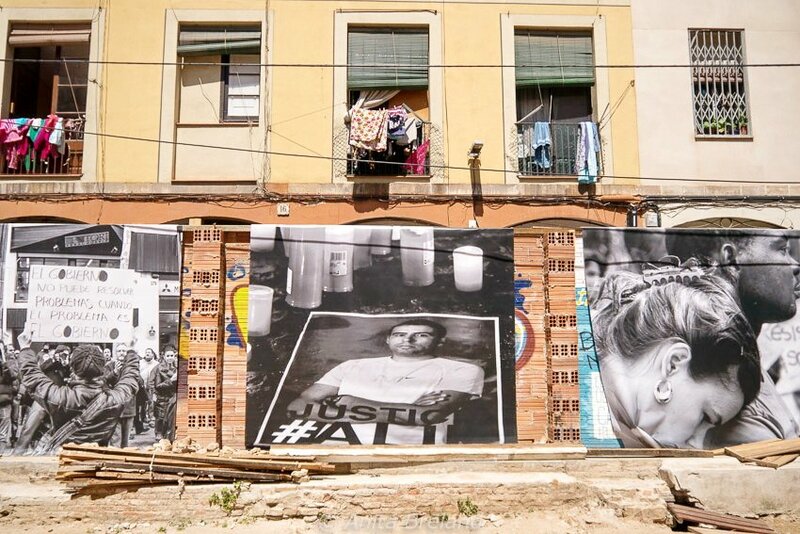 A large derelict space in Barcelona’s Raval district commemorates a more recent tragedy: the 2013 death of Raval resident Juan Andres Benitez, in police custody. Art along the walls inside and outside the agora serve as witness to the event. The site is now dedicated to community use, and includes a powerful art space, a tiny garden plot and a small performance stage. In Barcelona, the streets speak! The early 2000s were glory days for street art in Barcelona, with artists from all over flocking to the city. That heady period ended in 2006, when the City of Barcelona imposed a no-tolerance policy for the art form. Enforcing one of the strictest anti-graffiti laws anywhere, the government levied heavy fines on street artists, and a number of them departed for more welcoming shores. There has long been a tradition for public art in Barcelona, though. 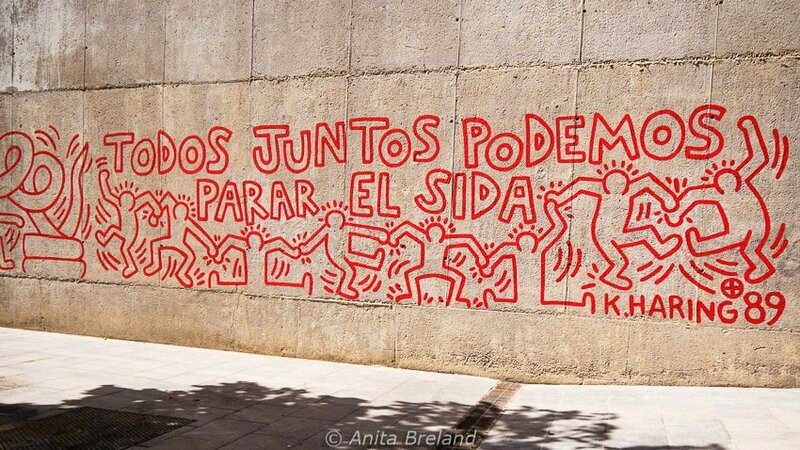 It shows through in the street art we see today, from a Keith Haring installation at the city’s Museum of Contemporary Art, to art commissioned for the city’s Ciutat Vella urban renewal project, to several painting walls that welcome artists who apply for a permit to paint. BCN Rise & Fall, a documentary telling the story of Barcelona’s love-hate relationship with street art, premiered in Barcelona in February of this year. In 1989, American artist and social activist Keith Haring painted a mural containing his signature iconography on an inclined wall in Plaça Salvador Seguí, in Barcelona’s Barrio Chino, in a space littered with syringes. The ephemeral work has been reproduced several times on a concrete wall outside the Museum of Contemporary Art (MACBA), most recently on the 25th anniversary of the work in 2014. A large-scale mural for the uraban renewal project “Cuitat Vella” was commissioned by the City of Barcelona. Painted by Sergio Hidalgo Paredes , aka Sixe Paredes, in simple shapes and colors, its style lies somewhere between naive and futuristic. 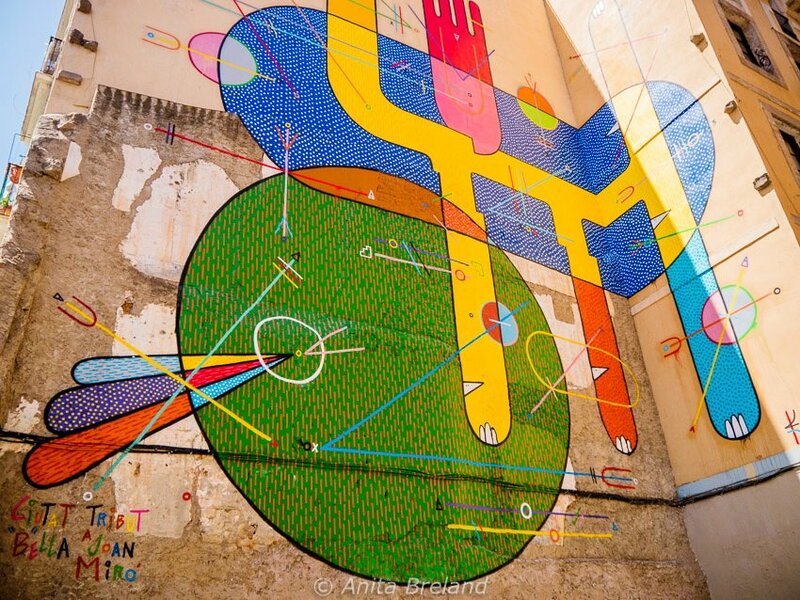 The work pays tribute to Barcelona muralist Joan Miró. For more by this artist, take a look at the Sixe Paredes website. The land around a former power plant, Xemeneies (Chimneys) on Avenida Paral·lel now generates power of another sort…the people-power of street art. The park is one of several art spaces made available to street artists upon application to the City of Barcelona. The installations are painted over frequently, so there is plenty of reason to return for another look. Read more about the park in this post from Barcelona Free Art. Street artists Cranio and El Pez collaborated on this installation at Tres Ximeneies Park. Cranio is from Sao Paulo, Brazil, and his artistic themes include consumerism and political corruption, among others, with inspiration drawn from well-known cartoons and Surrealism. Pez uses the huge smiles of his fishy characters to spread positive energy. Visit the El Pez website for announcements of exhibitions and solo shows. For more about Cranio, take a look at the description of his recent exhibition at Barcelona’s Montana Gallery. Consider the observations (and maps) of writers and photographers who’ve already been there, to make your personal journey of discovery a bit easier! 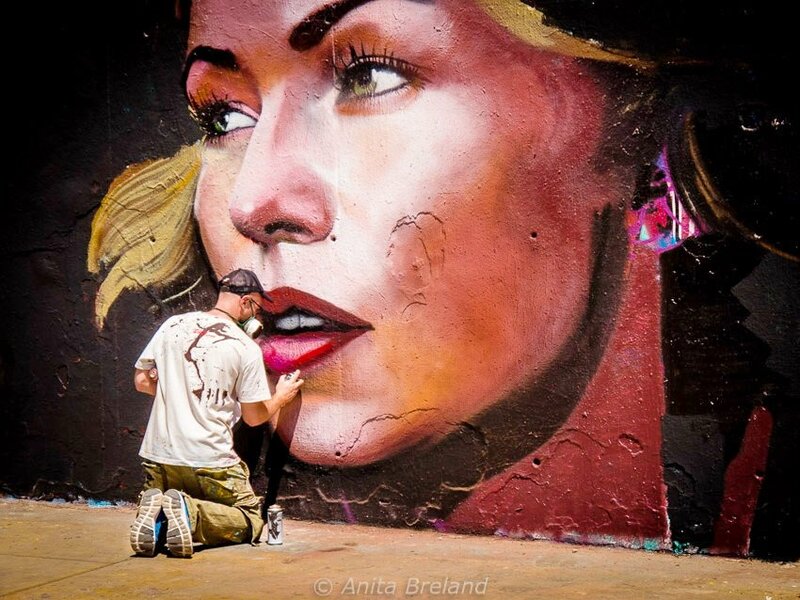 Street Art Barcelona publishes news about the Barcelona urban art scene and more. 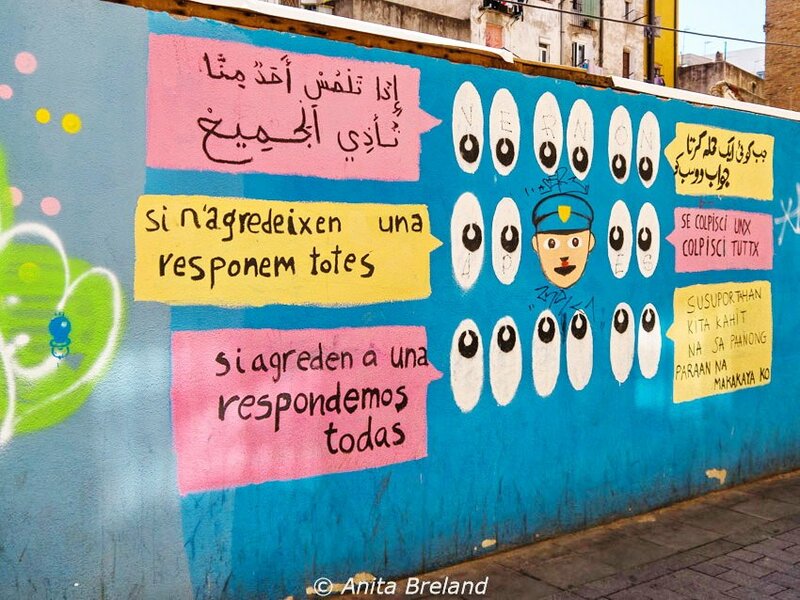 It’s a great way to learn about new walls and installations elsewhere by Barcelona street artists. Brian of Barcelona Street Scraps has an informative blog, with entries based on his personal meanderings around town, including his latest observations on new installations. For a useful introduction to locations and names of some of the artists, check out Street art tour of Barcelona, a three-part series from UrbanKulturBlog. Go deeper with a tour, such as the one I took with Cayetana of Trip4Real. You’ll get a history lesson while strolling hustling past all sorts of art, old and in-the-works. Street art is now flourishing on the formal art scene, with many of the artists showing in galleries around Europe and the world. Stay tuned for an introduction to some of the artists whose work we saw on our tour. 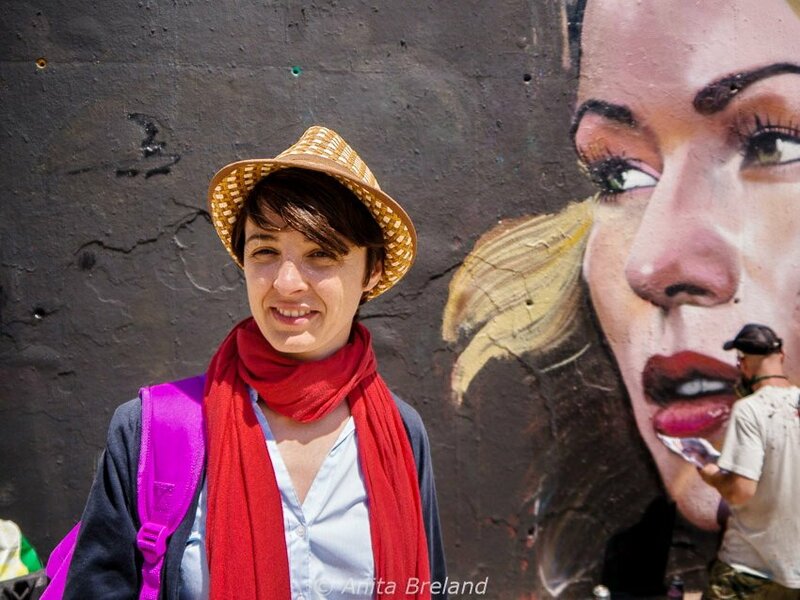 I was a guest of Trip4Real and Barcelona Tourism for our street art tour. Observations are my own! 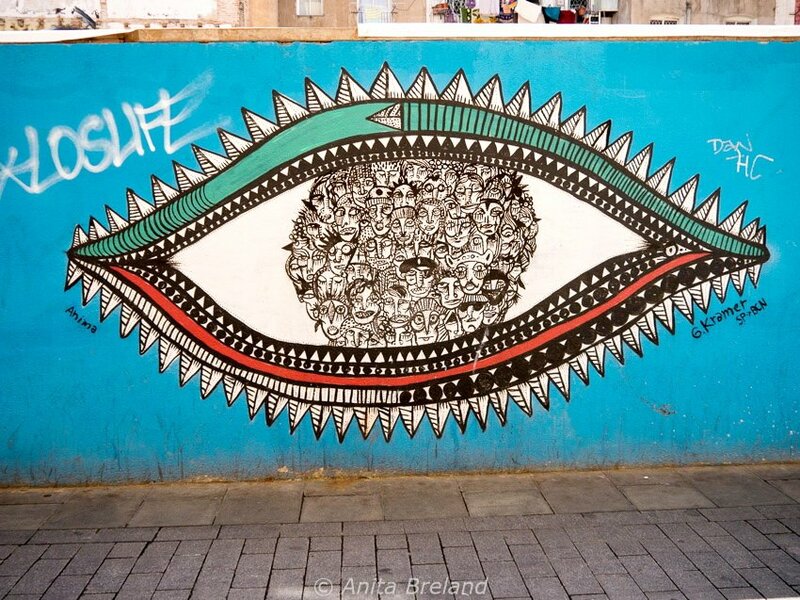 Glad you enjoy the pics, Gudrun…stay tuned for more works by Barcelona’s contemporary street artists! i absolutely love the street art of Barcelona. Really love the fun and colour of Pez’s work. Thx for the reminder, Anita. Thanks Doreen. Barcelona’s street art is indeed special! Your photos are exquisite! Thanks for sharing Bar-THE-Lona’s street art. One of my favorite Spanish Cities! You’re very welcome, Vicki! Glad to know someone else likes Barcelona as much as I do! I was impressed with the street art in Barcelona when I visited. I didn’t deliberately seek it out, just enjoyed whatever I stumbled across in my explorations. If I visited again, I think I might take a guided tour or check out the websites you’ve recommended. Serendipity works! I think you would enjoy the history-oriented tour, but there is certainly a lot to be seen, just by wandering around. 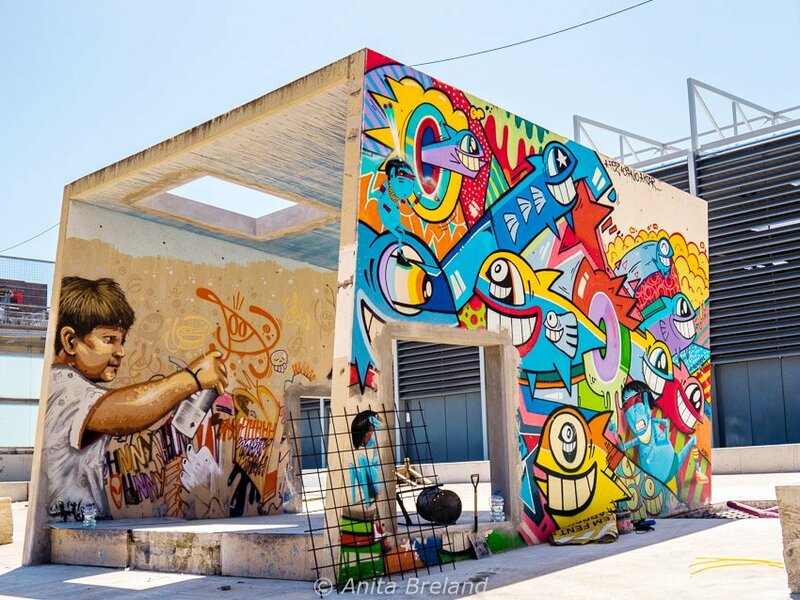 What wonderful resources you’ve provided for lovers of street art! Along with a hefty dose of inspiration! Thanks Irene. There is so much to see in a place like Barcelona, it can overwhelm the senses. For me, it was an unexpected treat to go a bit deeper with a knowledgeable guide…until then, I had associated street art only with the brashness of graffiti, so it was good to take a broader view. I love Barcelona and over the last few years have gained a new appreciation for street art. I have no tolerance for graffiti – it just seems like vandalism to me. But good street art really brings a place to life and your pictures are excellent at showing that! There can be a fine line between graffiti and street art, and it is one I’m just starting to navigate myself. Barcelona is a great place to learn about this! 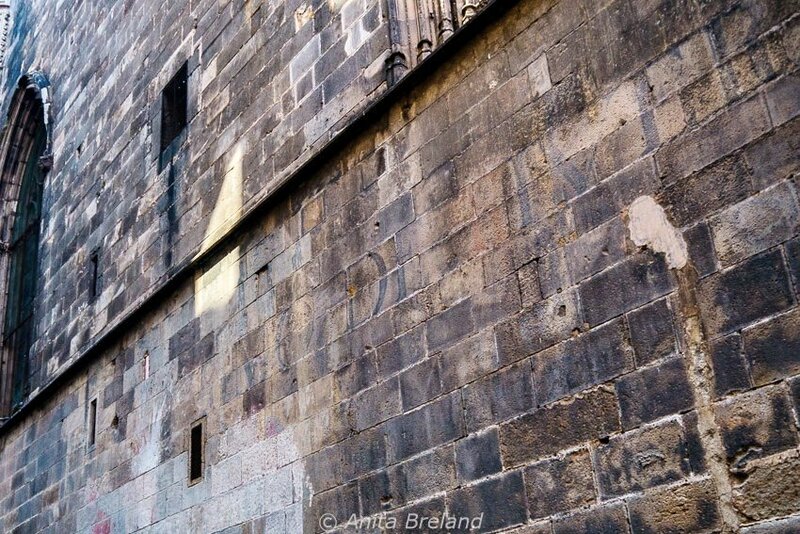 What a fascinating walk through Barcelona’s history! I love the artists’ diverse styles. Street art’s a brilliant way to enliven a city’s more prosaic corners–when it’s done by real artists. Hi Lesley, thanks for your comment. Glad you enjoyed taking a little historical walk with me through old Barcelona. Stay tuned for more! 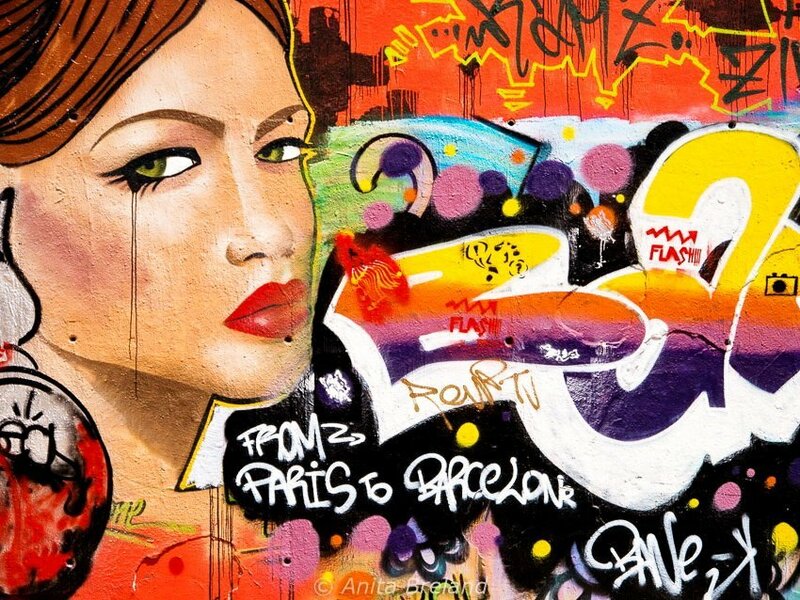 What a fantastic guide to the street art of Barcelona! We’ve been there several times but haven’t seen these gems! So much to see in Barcelona, I feel that we barely scratched the surface with the Trip4Real tour. I would love to return for more! Sounds like a wonderful tour with such interesting bits of street art and historical background. Barcelona is such a vibrant city. I’m not surprised that there’s a lot more of its street art that I need to see yet. Love the Joan Miró tribute mural. It was a great tour, Catherine, highly recommended. And I really like that the street art is so diverse…there is literally something for just about everyone! I still have NOT visited Barca. Great inside look at the city. Oh Charles, there is so much to this city! I hope you have a chance to see it…the street art is just one (albeit a fine one) facet of this marvelous place.